← Help Save a Gettysburg Campaign Site! An earlier ECW post revealed how General Nelson A. 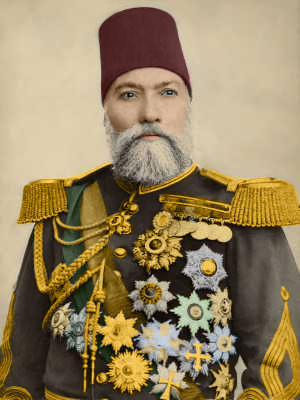 Miles admired the Russo-Turkish War hero, Osman Pasha, for his overall solid leadership qualities, comparing him to General Ulysses S. Grant. George B. McClellan did not hold the same respect for the Ottoman leader. In the postwar period, the life-long scholar of military history regularly contributed articles giving what he perceived to be his “expert” opinion on modern warfare in the second half of the nineteenth century. In his 1878 North American Review article titled “Capture of Kars, and Fall of Plevna,” McClellan gave his appraisal of two significant battles that impacted the outcome of the Russo-Turkish War – Kars and Plevna. McClellan displayed instances of vanity and prejudice in his professional analysis of Osman Pasha’s leadership qualities and character during the siege of Plevna. McClellan started off by admitting that he did not “know with sufficient accuracy” the daily events of the siege or what took place during Osman Pasha’s final sortie (to some extent resembling General Pickett’s desperate charge at Gettysburg) to “justify a final judgment upon the merits of his defense from a professional point of view.” But the lack of data McClellan had in his possession, or even his admitted ignorance on the subject, did not stop McClellan from giving his own “professional point of view” of the siege or from delivering a number of blows on Osman’s character and ability as a general. McClellan had the advantage of hindsight on his side to come to a number of his evaluations and conclusions – Plevna fell in the first week of December, and the article was published shortly after as the war was coming to its almost inevitable end. McClellan, a lover of the methodical working of sieges, felt that when General Todleben (the hero of Sevastopol), was called out of retirement and took control of the Russian siege operations in November of 1877, “knowledge and skill directed the operations of the Russians” from that point forward. McClellan’s partiality towards the Russians may have clouded his judgment and generated his distaste of Osman and the Ottomans. McClellan had the chance to observe Todleben’s work while acting as a military observer during the Crimean War, and apparently remained a Russophile. McClellan correctly concluded in retrospect that “Osman became helpless as a child,” and that “his fate was sealed” when Todleben successfully cut the Ottoman defenders off from the outside world in the closing months of the siege. McClellan censured Osman and his men for their brutal treatment towards wounded Russian and Romanian soldiers during the siege. He declared that when Osman was wounded in the final sortie in December 1877, the Ottoman leader was treated well by Tsar Alexander II following his capture as a show of respect for his “obstinate courage” during the 143-day siege. But McClellan added a jab at Osman in the same sentence asserting that Alexander’s courtesy was certainly not for “the inhuman brutality which constantly characterized the conduct of his troops toward the wounded Russians who fell into their hands.” Horrible atrocities were committed by both sides (on civilians and wounded soldiers, alike). To have singled out Osman’s men would seemto be bias on McClellan’s part. In his most critical statement, McClellan reasoned that Osman’s conduct during the six-month siege was “more like the conduct of a wild beast at bay than that of a skillful general.” Osman was no Lee or Napoleon, but he proved his worth on multiple occasions during the siege. With no other choice but to surrender or try to break out of the Russian chokehold around the city by early December, Osman opted to mount a sortie as a final attempt to escape with his garrison. 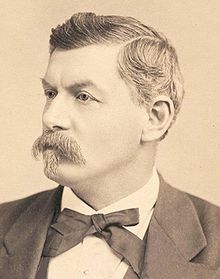 At least McClellan acknowledged this bold effort stating that, “As a true soldier, he chose the latter course.” He acknowledged that Osman, “selected his position well and fortified it with skill,” but that he did not take advantage of his successes, “which were due more to the blunders of his antagonists than to his own merits.” As this sentence came to an end, I can’t but help to think of the criticism McClellan received for his fumbled battles during the Seven Days’ or Antietam Campaigns. McClellan felt that if “Osman had been a great or even a good general, he would have abandoned his position the moment he found the Sophia [Sofia] Road seriously endangered, for his army would have been infinitely more useful elsewhere.” Osman had been ordered to remain in his position by Sultan Abdülhamid II because the siege not only provided a strategic hindrance to the Russian offensive moving south through Bulgaria toward the Ottoman capital of Constantinople, but it also provided a rallying point for the decaying empire. One of the first things Todleben did was to cut off the road to Sofia, and at that point, it was too late to think of escaping to the south through the mountains. Osman’s army of 40,000 captured in the final battle on December 10, would have certainly been more useful anywhere on the Bulgarian front, but poor Ottoman senior leadership, reliance on timeworn strategies, and critical morale in the empire were the major causes for Osman not escaping, rather than Osman’s faulty decision-making. McClellan, George B. “Capture of Kars and Fall of Plevna.” The North American Review 126 (January/February 1878): 132–55. This entry was posted in Armies, Ties to the War and tagged George McClellan, mcclellan's commentary, military history, Osman Pasha, Russian troops, Russo-Turkish War, Siege of Plevna, Tsar Alexander II. Bookmark the permalink.